It's getting cold outside, but the sun is still shining and the nature is full of beautiful colors. It's the perfect time to start preparing for winter with some gorgeous handmade items inspired by the beauty of this season. Keep your hands and ears warm with asymmetrical striped mittens from Mairea and a stylish pom-pom beanie by The Sun and the Turtle. 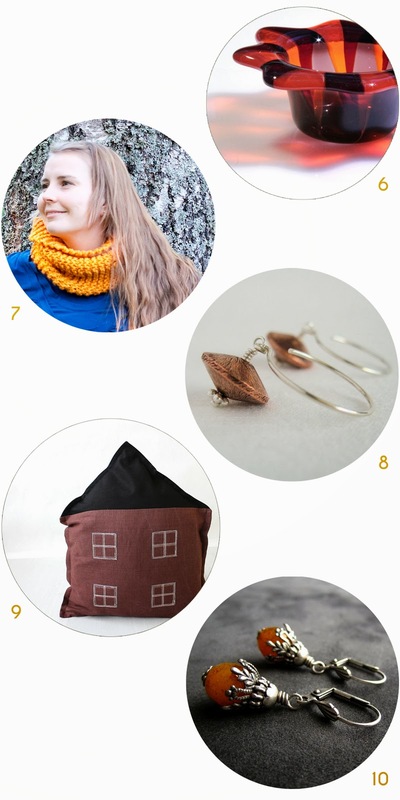 Compliment it with cozy cowls from Anna Matilainen Design and Sofia Sobeide. Create gorgeous outfits with vintage-inspired dresses by Cherise Design available is various fall colors and style them with victorian-style amber earrings by Arx Rosarum or add more modern touch with copper disk earrings by Solsken Design. Add a cute fall-inspired touch to any outfit with a playful fox necklace by Nellin Shoppi. Don't forget about fall decor for your apartment by adding candles in fused-glass candle holders by Branko Brelih and cozying up your sofa with house-cushions by Beanie on Helina. 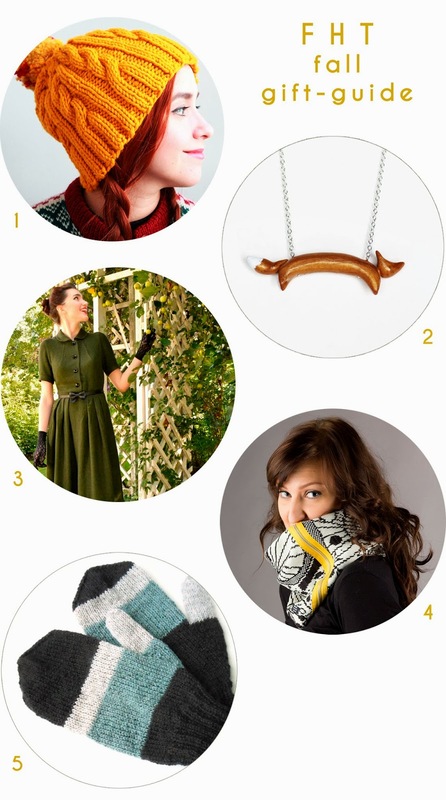 Treat yourself or surprise your loved ones with a gift carefully handcrafted by talented designers from Finland! Wonderful picks! Thanks for including Arx Rosarum's earrings!